May of 2017 was not the best month for golf legend, Tiger Woods. Unfortunately, he was only one of numerous Floridians cited by police for driving under the influence. Reports note that Woods was under the influence of prescription drugs Vicodin and Xanax when he was found by law enforcement officers, and that no alcohol was found in his system. While driving under the influence of drugs is just as dangerous as driving under the influence of alcohol, the majority of cases of DUI result from alcohol consumption. Every year, millions of people get behind the wheel with a blood-alcohol level that meets or exceeds the state maximum of 0.08 percent. In Florida, the number of drunk drivers on the road is higher than the national average. Fortunately, there is help. The New York Post reported in early June that Woods is seeking help for his addiction to drugs. That is a wise move on the golfer’s part. The good news is that, by choosing drug and alcohol rehab as Woods has done, other Florida residents can get back on track to a healthier, happier life free from addiction. Everyone pays attention when a celebrity like Tiger Woods is arrested for driving under the influence. He lives in a fine home, drives a Mercedes, and was the first American billionaire athlete, according to the Post. At one time, he was known for his boy-next-door image. His high-profile arrest was only one of thousands, most of whom were everyday people like you, your friends, or your family. Many more people in every Florida county made the same bad decisions and took the same path to a DUI and jail this year, and more are likely to follow. After his arrest in May, Woods claimed that an unfortunate mix of doctor-prescribed medications caused his erratic driving. With the latest news that he is entering a rehab facility, the story has baked into a cake of substance abuse. Fortunately, he recognized it, owned it, and took action before he or someone else on the road was harmed. More importantly, his story highlights the fact that alcohol rehab is available to all Florida residents. Counseling is part of a comprehensive treatment program that helps alcoholics get and stay sober. 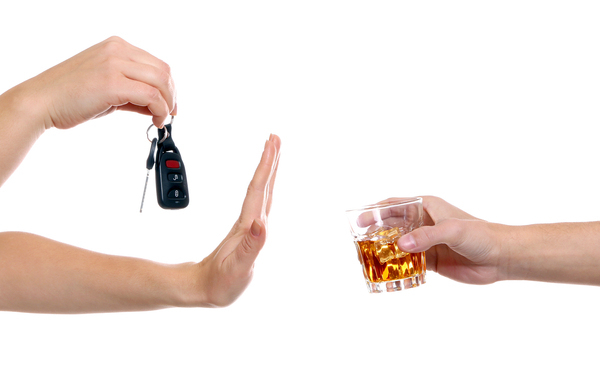 According to the CDC, Florida has a higher rate of adult drunk drivers on the road than the country overall. The national average is 1.9 percent, at least for self-reporting drivers. In Florida, the rate is 2.1 percent. Actual rates are likely much higher. The number of deaths on the road in alcohol-related accidents is also higher in Florida than across the country. In 2012 alone, the CDC says every age group except 0-20-year-olds suffered more accidents that led to death than all other states. The age group most affected, by far, was 21-34 year-olds. Significantly more men died than women. These numbers have spurred Florida police to redouble their efforts to find drunk drivers and pull them off the roads and highways. Drunk driving laws are the framework. Sobriety checkpoints help find more drunk drivers. Ignition interlocks prevent a car from starting if the driver is impaired. License revocation is both a preventative and a deterrent. Florida law enforcement officials use numerous other methods to combat DUI as well, such as media campaigns, school-based programs, and more. Alcoholism affects the richest people in America as well as the poorest. It is one of the most readily accessible drugs because it is legal, at least if you are over 21. Whether it is top-shelf gin or cheap beer, alcohol impairs your ability to function, especially while operating a vehicle. It puts your job and family at risk and damages your reputation. Woods has not won a championship in years. It is also a health risk, both in the likelihood of dying or killing someone else in a vehicle crash and in long-term physical harm and even certain cancers. With alcohol rehab, Florida residents have a better chance to get clean, regain control, stay sober, and learn how to prevent relapse. If you have a problem with alcohol abuse, you can find help with medical detoxification in a safe, controlled setting, one-on-one care that addresses your personal needs, therapy that teaches healthy ways to cope with cravings, and long-term assistance if you one day find yourself slipping. If you or someone you love is suffering from an addiction to alcohol or any other substance, there is help with Orlando Recovery Center. The only shame is in not getting the help that is waiting for you. Contact us today and leave alcohol in your past for good.